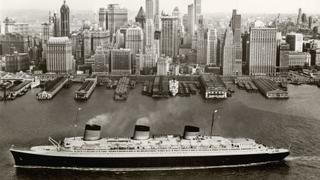 The ocean liners of the 19th and 20th centuries (also commonly known as cruise liners) were instrumental in not only defining how we experience yachting today but also helped to shape the modern world. From February 3 until June 10, 2018, the Victoria and Albert Museum in London will reimagine the golden age of ocean travel with an exciting new exhibition, Ocean Liners: Speed & Style, sponsored by Viking Cruises. Created in collaboration with the Peabody Essex Museum in Massachusetts, it will be the first time the cultural impact of these giant vessels will be investigated on an international scale. From the groundbreaking engineering and architectural aspects of the ships to the fashion seen on board and the luxurious lifestyles that the liners promoted – there will be a huge variety of historical items on display. 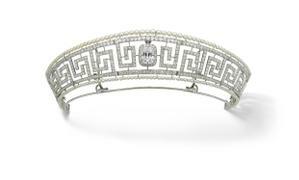 The exhibition will showcase more than 250 objects – highlights include a precious Cartier tiara that was recovered from the sinking Lusitania in 1915, a sun-lounger from the Titanic’s first-class decks and a Christian Dior suit worn by Marlene Dietrich as she boarded the Queen Mary in 1950. The exhibition will also trace the design stories behind some of the world’s most luxurious liners, including the famous steamship of 1859, the Great Eastern, the floating Art Deco palace that is the Normandie and the streamlined Modernism of QE2. Tickets are £18 and are available now from vam.ac.uk/oceanliners.